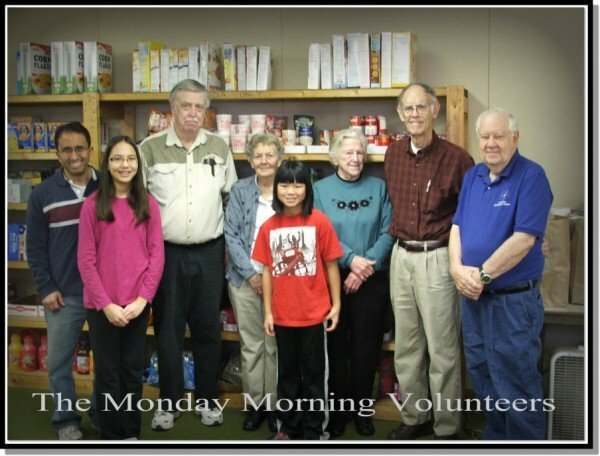 The Food Bank is open on Monday and Wednesday each week from 9:00 AM until 10:45 AM. Entry is from the Harrison Street Lyceum entrance. The phone number is (260) 456-4868. The staff is made up entirely of dedicated volunteers who generously share of their time and talents. They normally arrive at 8:00 AM to prepare for the start of their day. Their tasks include unloading products, tracking the weight of products received, preparing bags of groceries, and distribution of products. The Food Bank is a member of the Associated Churches of Fort Wayne Food Pantries. Being a member requires proper record keeping of all products received and distributed. Another member requirement is to only distribute to families residing within the Food Bank’s assigned boundaries. Families living outside the boundary are directed to another Associated Churches Food Bank. An average of 30 to 35 families are served every day. Families can always receive one bread and one sweet or pastry item. Once per month they are also able to receive a bag of groceries. A photo I.D. 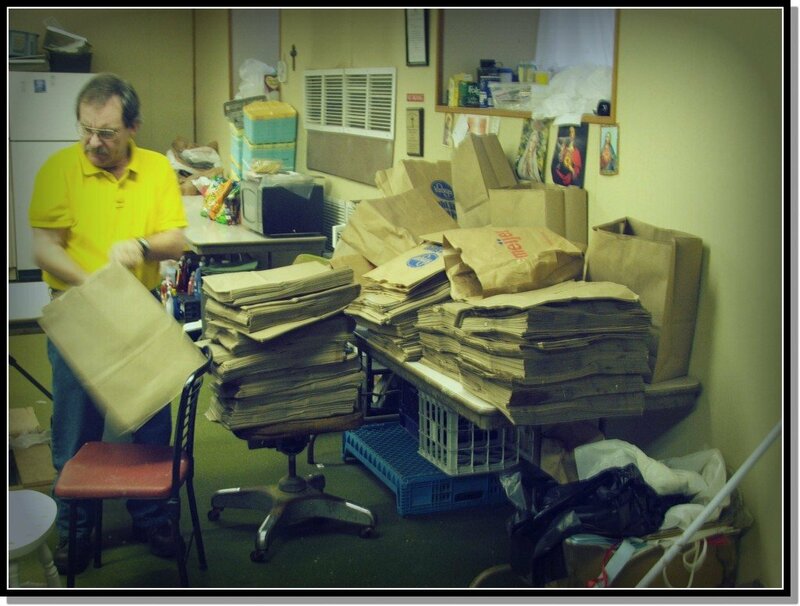 and a bill or statement with name and address are required for the bags of groceries. Wednesday tends to be the busiest day as Associated Churches delivers eggs, butter, and cheese. 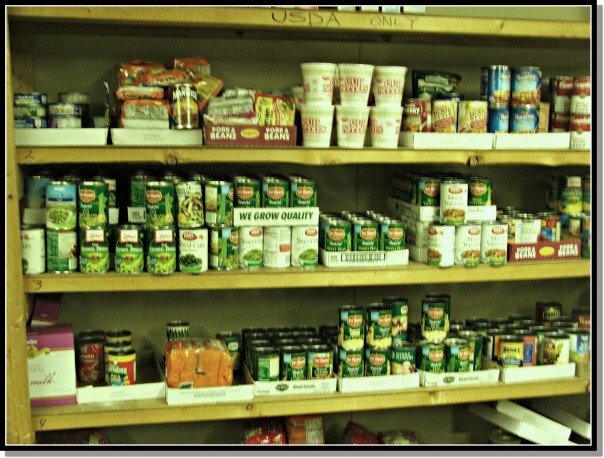 Grocery bags contain canned soup, corn, peas, mixed vegetables, macaroni and cheese, tuna, pasta sauce, and fruit. Also included is peanut butter, pasta, boxed macaroni, breakfast cereal, soap, and toilet paper. Requests for special needs are also available. The Food Bank is very appreciative of the gifts of products and money from individual donors. From time to time the students of Saint Patrick’s Religious Education program organize food drives to help keep the shelves stocked as well.